A Digital Card Game that I highly regard as the best would be Chronicles: Runescape Legend which brought something different to the genre. Unfortunately, it was culled by the developers and left to die as players and community quit the game. Another game that I also highly regard as the best Rogue-Like game is Darkest Dungeon where you have to manage your heroes against the hell of the dungeons in the game. In both games, each round of play is different with Darkest Dungeon having randomly generated dungeons and Chronicles: Runescape Legend having different card drawn from your deck at the start. 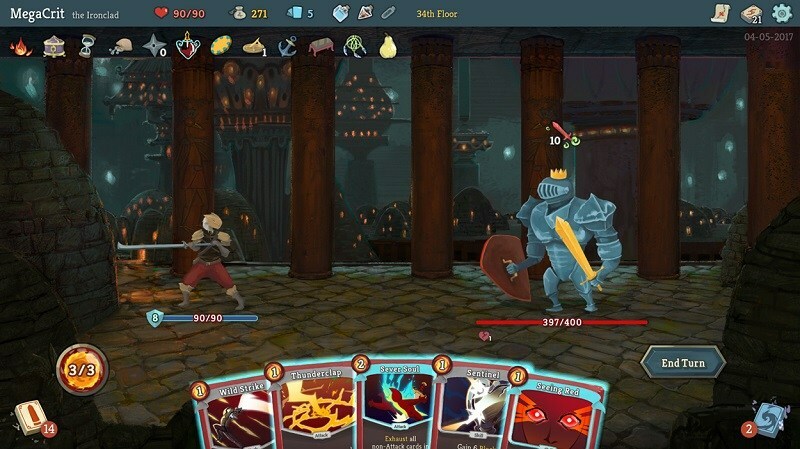 Both of these features have now been combined and can be found in Slay the Spire. 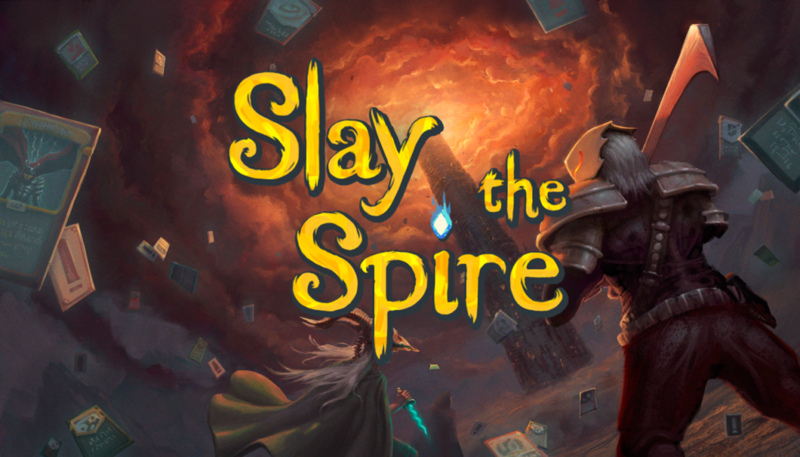 Slay the Spire is a Rogue-Like Deck Building game where the players start with a few cards and gain more cards as they progress further in the game. At the start of the game, the players choose one of two heroes to go into the Spire and climb as high as they can. Each heroes has different starting deck, different stats and different Relics to help them throughout the Spire. They will then choose a starting point and move onward the chosen path killing any monsters, or encountering random events in that path. Sometimes, the player will find a treasure box that will provide cards or relics. Other times, the players will find the merchant to buy potions or remove curses or at times combat a high leveled monster. The combat in the game is a Deck Building Game on its own as the players draw five cards from their starting deck and have a starting number of Energy to use the cards. Each card has its own Energy Costs and their own effects, be it doing damage to the enemy, gaining shields to defend or other effects to help the hero in the fight. The player will take a turn to play the cards, discard the rest of the cards, then pass the turn to the monsters and once the monsters are done, the player will draw five fresh cards. This goes on back and forth until the monsters die or you die. Killing monsters gain you cards, gold and sometimes relics. 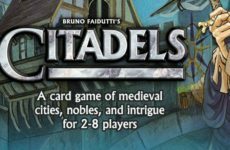 Along the way, be it slaying monsters, finding treasure boxes or meeting the merchant, the players will find and choose a set of cards to add to their deck or pass and not choose any cards. 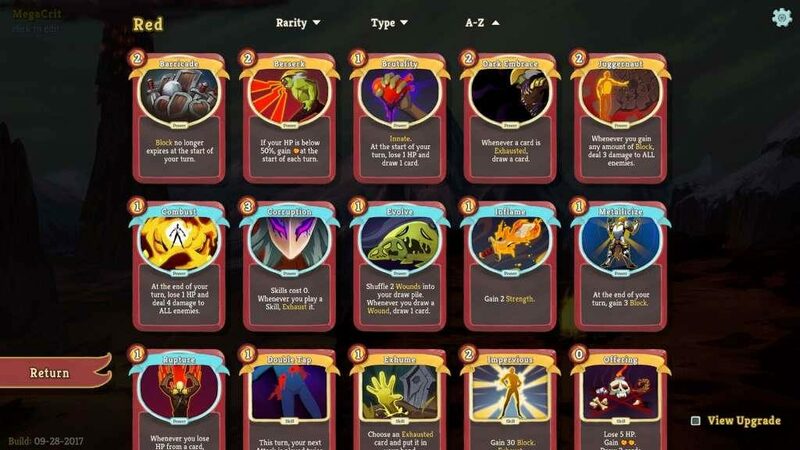 This is where the deck building comes into play as the player may choose their own play style for each run into the Spire. 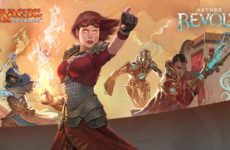 The player may choose a lot of shields and healing to build a tanking deck or choose a lot of damaging cards and energy cards to build a glass canon deck. Choosing and adding cards make the players deck bigger thus diluting the ability to draw specific cards. Hence, a good deck building is crucial in making the dungeon run smoother and easier. The player can remove unwanted cards like curses or underpowered cards at the merchant to make the deck better. At the end of the map, the player will face a Boss Monster to test their deck building and also their skills throughout their run of the map. The unknown of what is in front of you in a randomly generated map is what keeps the game fresh each time, but at the same time, the game keeps you on your toes as a wrong turn on the map may have the player fight an Elite Monster which can outright kill the player. There are rest points in the map but unlike most games that heal you fully outright, the rest points only heals a third of your max health. Management of your health and deck will be crucial in the game. Picking the wrong cards or taking a wrong turn in the map may cost the player when facing the Boss Monster at the end of the map. Dying in a map will restart your journey into the Spire, but you will be wiser and you will be able to keep a Relic you found to start the next journey with. This is a very interesting game that has Deck Building, Rogue-Like and some might argue, that it is even Souls-Like. 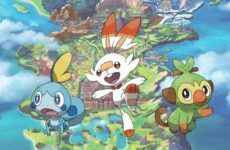 It is still in early access which means the developers will continue to add more content and fixes any bugs found in game. The developers have already announced that there will be a third Hero that has its own starting deck and play style. The game itself is cheap at RM32.00 on Steam and I will be playing the game until I have SLAIN THE SPIRE! Next PostShould Monster Hunter Get Another Anime Adaptation?